For Brazil's Finance Minister, Eduardo Guardia, the recent appreciation of the dollar in Brazil is due to international factors, of which the government has no control. RIO DE JANEIRO, BRAZIL – The Brazilian real devaluated again on Thursday against the U.S. dollar, with the North American currency registering an appreciation of 1.21 percent during the day and closing at R$4.20/US$1, the highest level since the creation of the Real Plan in 1994. Brazilian real registers the lowest level against the US dollar since 1994 on Thursday, photo by Rafael Neddermeyer/Fotos Publicas. The highest foreign exchange rate before Thursday had been in January of 2016, when Brazil’s real closed at R$4.16/US$1. 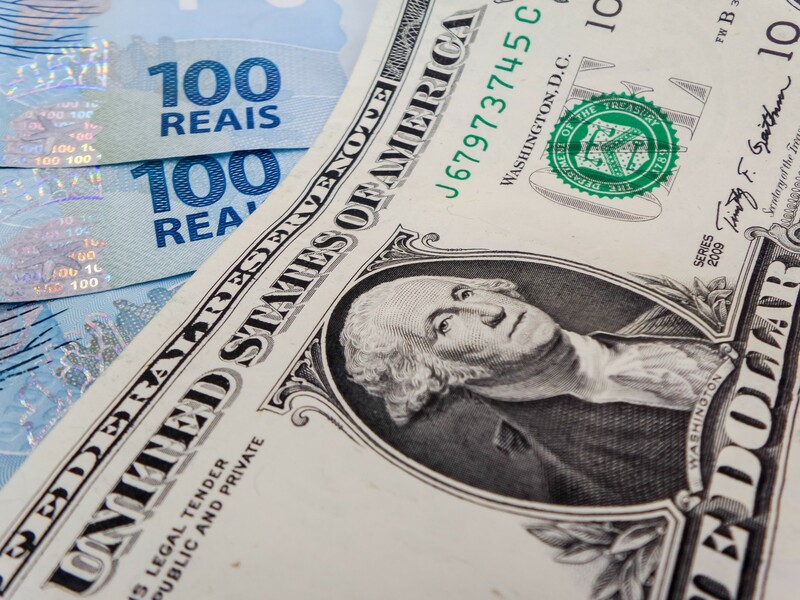 Despite the depreciation of the local currency, Brazil’s Finance Minister said the government will not take additional measures to halt the appreciation of the North American currency. According to Eduardo Guardia the recent appreciation of the dollar in the country is not only due to the upcoming Brazilian presidential elections, but also to international factors, of which the government has no control. “There is no action to be taken at this time. What exists are international movements that have been pushing for currencies from emerging countries, such as Brazil,” said Guardia after an event in Fortaleza, the capital of Ceara, earlier this week. In the accumulated of the month, the dollar already shows appreciation of 3.03 percent and for the first eight months of the year the appreciation is of 22.86 percent. The minister stressed that the government is monitoring the situation and added that only structural reforms which can rebalance public accounts will increase the country’s resistance to crises like these. The steady devaluation of the local currency has put a damper on people planning to travel abroad in the next few months. But according to Eliana Ferrari, travel agent at Goldtur Viagens in São Paulo, those who already had plans to travel abroad are not cancelling. “Those who had already started to plan an international trip are not cancelling,” Ferrari tells The Rio Times. “They are opting for cheaper hotels and maybe instead of taking direct flights choosing ones with connections because of the difference in price, but I have not had any clients simply cancel their plans,” adds Ferrari.